The basic principle of Surface Vessel recognition as with aircraft is familiarity with the total form of the object observed. The true character of a ship is not determined by a single feature or features but by the familiarity we may have with the total mass of the hull and superstructure, when viewed from great distances. As in aircraft recognition, the salient recognition characteristics are shown in their simplest form by silhouettes. If this silhouette is further simplified into its basic masses, we obtain a silhouette where the minor details have disappeared, leaving only the real recognition features. 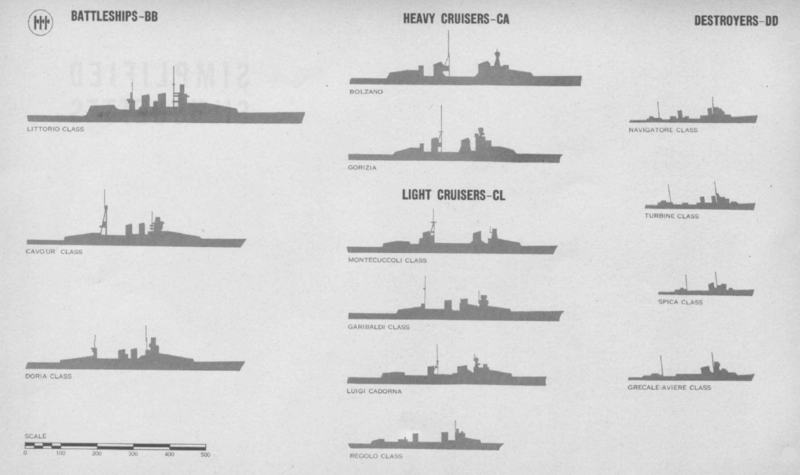 It should be noted, however, that in one important respect ship silhouettes differ from those of aircraft. 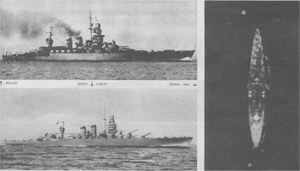 With planes, all three views are of nearly equal importance for correct identification, but in ship recognition, the use of the beam, or side view silhouette, is by far the most important. 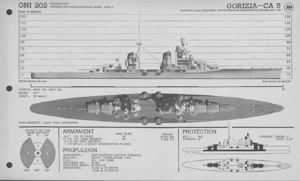 If the beam silhouette is thoroughly known, the ship can be recognized from either the surface or the air. This can be proven by examining any group of aerial views of ships. 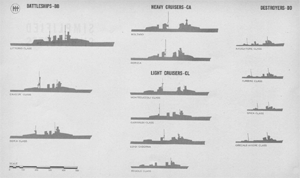 Preceding each group of vessels of each nation represented in [these manuals] is a chart of these simplified silhouettes representing a vessel of each class. 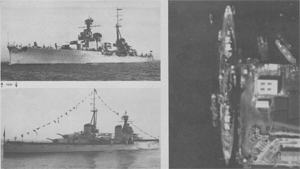 These are arranged at the same scale for ease of comparison with each other and with other ships in the same class in other navies. Large instructional charts of these simplified silhouettes are being prepared and will be distributed in the near future. The present manual will serve as a text book in recognition courses inasmuch as it will have material, readily available, within a single cover, on all ships on the present operational list. Sets of scale models of surface craft are available on request for supplementary instruction from the Bureau of Aeronautics for the Navy, and from the A. A. F. Training Aids Division, New York City, for the Army Air Forces. These are useful for detail examination and for various forms of realistic display on surfaces simulating water under varying light conditions, such as study of fleet maneuvers. 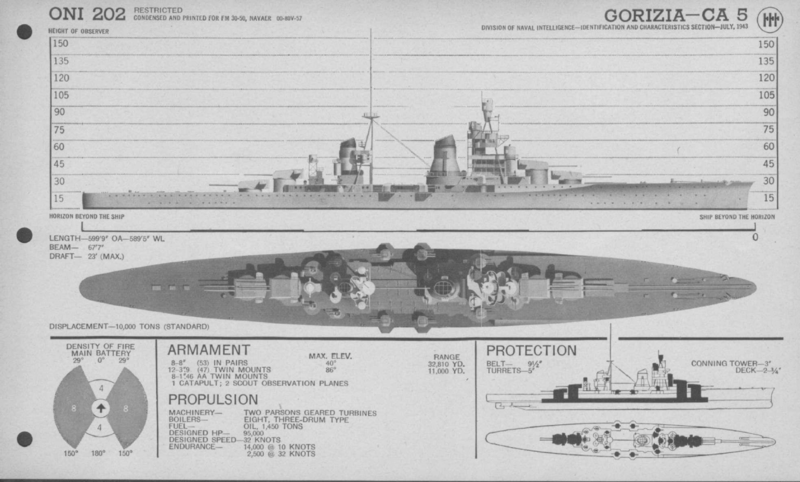 The models are particularly valuable since they may be displayed at any angle and may be viewed from above to illustrate views of ships or groups of ships. Motion pictures are available for a limited number of subjects and serve further to assist in recognition training. 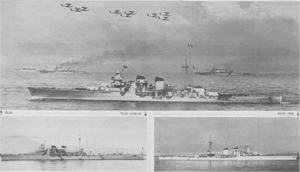 Training in recognition of surface craft follows the same general pattern as in aircraft recognition. The principal value of the flash meter as a teaching device is that it forces the student to grasp total form as opposed to detail. It has already been indicated that this recognition of total mass is as essential for surface craft as for aircraft. Therefore, exposures of slides should be as brief as is consistent with the progress of the group being taught. While, in general, exposures will probably be at the one or one-half second rate, successful work on surface craft images has been reported at speeds up to 1/75 of a second. NOTE: Terms later defined in the text of this section have been omitted in the following list. ABAFT: behind; toward stern from. ABEAM: at right angles to the keel. AMIDSHIPS: the middle portion of a vessel. ARMOR: steel plating designed to defeat shells, bombs, or underwater explosion. ARMOR BELT: band of armor extending along a ship's sides above and below water-line. ATHWART: across; from side to side; transversely. BEAM: extreme width of ship. BILGE: curved part of ship's hall where sides and flat bottom meet. 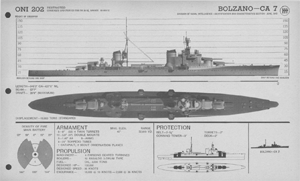 BLISTER: a bulge built into a ship's side as a protection against torpedoes. BOOM: a free-Swinging spar used to secure boats or to handle cargo, boats or aircraft. BREAK: the point at which upper decks are discontinued. BRIDGE: raised forward platform from which ship is conned and navigated. BULKHEAD: transverse or longitudinal partitions subdividing the interior of a ship. 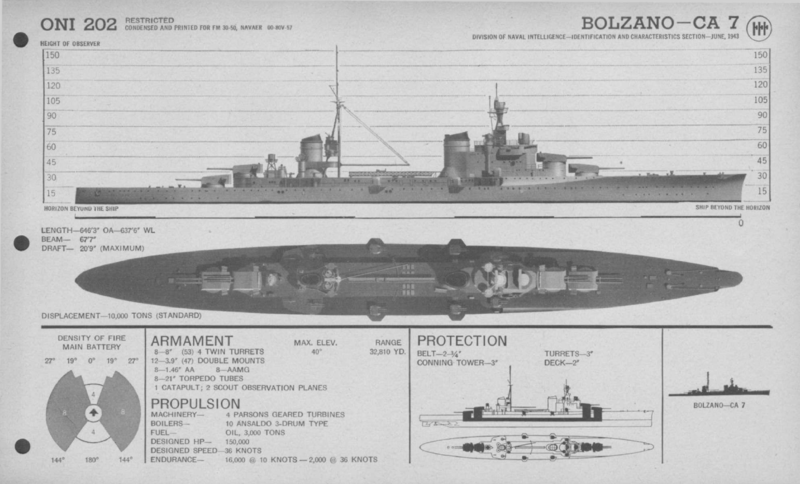 BULWARKS: tight plating or wooden extension of ship's sides above upper deck. 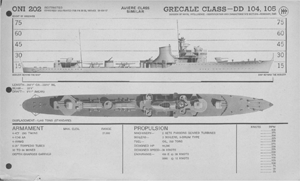 CASEMATE: armored gun mount built into the sides or superstructure of a ship. 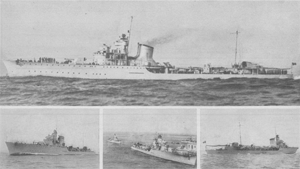 CLASS: vessels of the same type built to a common basic design. COMBINED OPERATIONS: joint operations conducted by non homogeneous forces or forces of different services and/or nationalities. COMPANIONWAY: hatchway providing access from one deck to another. COMPARTMENTATION: subdivision of a ship's hull by means of transverse and/or longitudinal bulkheads. CONNING TOWER: armored ship control station. In submarines, the main deck structure. COUNTER: side of a vessel's quarter. COWL: a smoke baffle located on top of a funnel; opening of a ventilator. DAMAGE CONTROL: comprehensive term for all means of mitigating or offsetting effects of damage aboard ship. DEPTH CHARGE: explosive device projected or dropped from air or surface craft; detonated at predetermined depths by a hydrostatic mechanism. DISPLACEMENT: the weight of water displaced by a ship. FANTAIL: after section of the main deck. 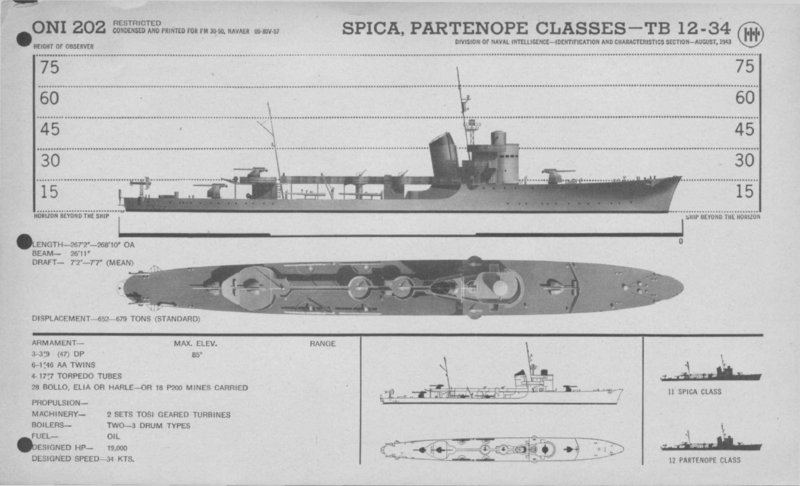 FORE: That part of a ship lying between bow and midship section. FORE AND AFT: lengthwise of a ship. 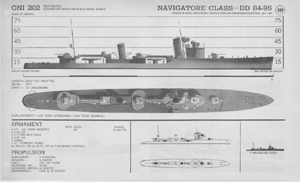 FORECASTLE: deck; a forward upper deck extending to bow. FREEBOARD: height of a ship's sides from waterline to a weather deck. FLYING BRIDGE: a light self--supporting structure extending from side of ship's bridge. GUN HOUSE: a lightly protected, rotating mount for guns of lesser caliber. 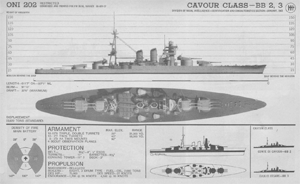 GUN SHIELD: any protection for gun crews which does not completely enclose mount. GUNWALE: upper edge of a vessel's or boat's side. HALYARDS: light lines used in hoisting signals, flags, etc. HATCH: opening in a deck. HAWSE PIPES: tubes leading anchor chains from deck down and forward through bow plating. HELM: the mechanism for operating the ship's rudder. HULL: main body of a vessel exclusive of elements of superstructure. ISLAND: a free-standing section of a ship's superstructure. On aircraft carriers, the ship's superstructure. KEEL: center line strength member running fore and aft along the bottom of a ship. KNOT: a unit of speed, equalling one nautical mile (6,080.20 feet) per hour. LIST: transverse inclination of a vessel. MAIN BATTERY: the heaviest caliber gun armament carried by a naval vessel. MAIN DECK: a ship's highest continuous deck. MINE a device containing high explosive charge, free-floating or anchored at fixed depth, or resting on bottom; detonated by contact,or by electrical or magnetic impulse. MULTIPLE MAST: an exposed mast having one or more supporting elements. 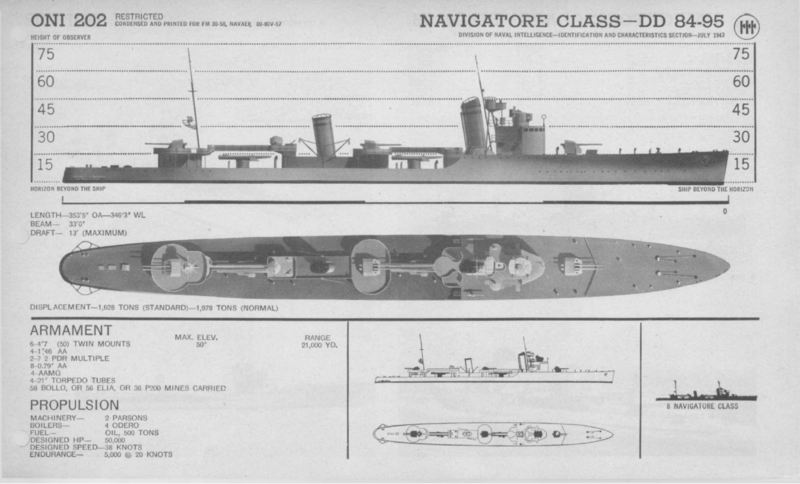 PEAK (fore and aft): compartment at the extreme bow or stern of vessel below decks - usually a tank. PORT: left hand side of a vessel when looking towards bow; an opening. QUARTER: that portion of a vessel's side near the stern. 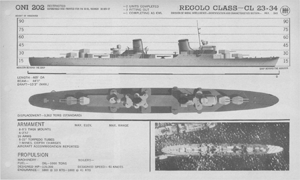 QUARTER DECK: part of upper deck reserved for officers; also the deck near the stern. RADIO DIRECTION FINDER: device for determining direction of source of radio impulses. RAKE: fore and aft inclination from vertical. RANGEFINDER: optical instrument for determining distance to a target or other object. RECIPROCATING ENGINE: a steam actuated piston engine as distinguished from a turbine. RIGGING: collective term for ropes and chains employed to Support masts, yards, and booms of vessel. SECONDARY BATTERY: the gun armament next in caliber to main battery. SHEER: longitudinal upward or downward curvature of deck or gunwale. SHEER LINE: line formed by intersection of deck and side of a ship. SPLINTER SCREEN: light armor shields for protection of crew. STACK: exposed uptake from ship's boilers; funnel. STARBOARD: the right hand side of a vessel when looking towards bow. STEM: extreme forward line of bow. STERN POST: the main vertical post in the stern frame upon which the rudder is hung. SUPERSTRUCTURE: any structure built above a ship's hull. 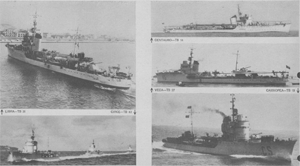 TASK FORCE: a naval force organized to carry-out a specific mission. TURRET: a rotating mount enclosed by armor for guns of large caliber. TWIN TURRET: a turret housing two guns. 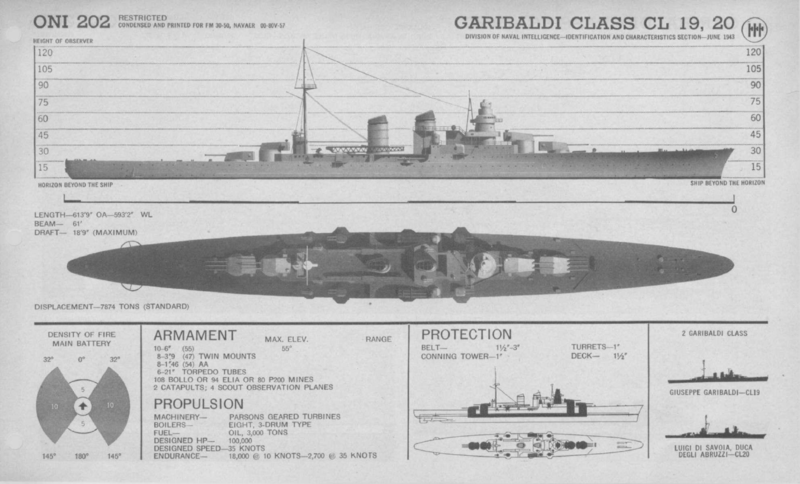 TYPE: all vessel-built or converted for the same purpose. WEATHER DECK: any deck exposed to weather. WELL: a lateral opening in a ship's hull or superstructure. 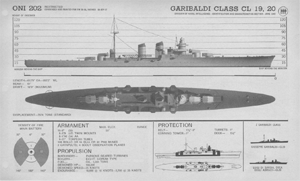 A ship, to be classed as a fighting ship, must be capable of inflicting damage and of sustaining or avoiding damage. She must possess sufficient speed and maneuverability to execute her mission and the capacity to proceed independently to a scene of action. 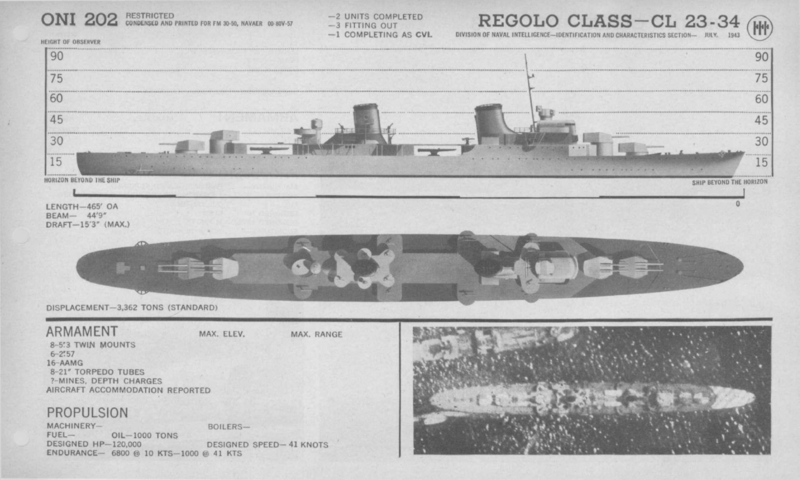 The type of warship is determined by the degree to which each of these qualities has been stressed in her design. Capacity to "dish it out" is a primary attribute of fighting ships. 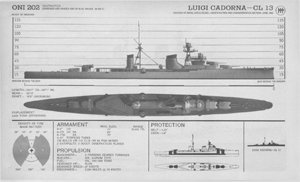 Ships may be designed to inflict damage by shells from their guns, torpedoes from their tubes, bombs from aircraft they may carry, or by depth charges or mines. 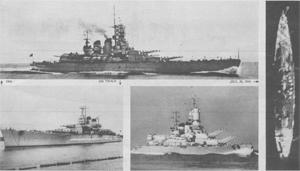 Battleships and cruisers are essentially gun ships, although they carry other weapons. 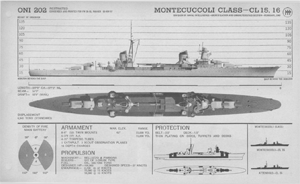 Carriers, minelayers, and torpedo boats are designed for special attack functions, with guns provided largely for defense, while destroyers and submarines are dual armament ships, using either guns or torpedoes. 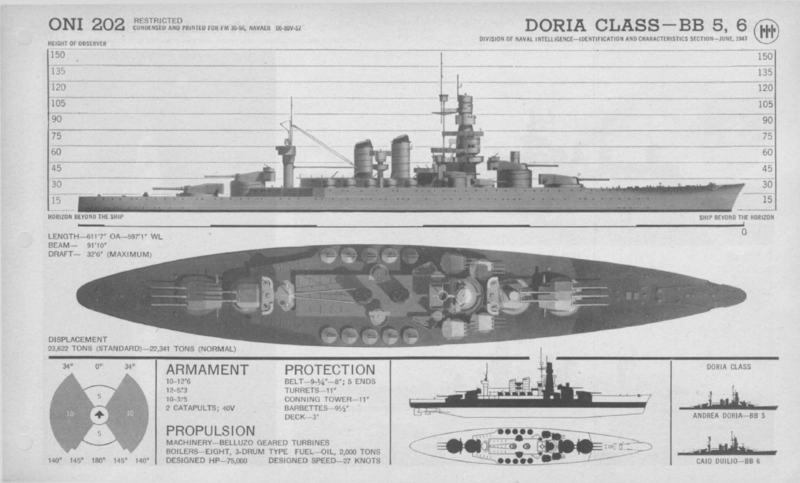 Larger types carry secondary batteries, primarily intended for defense against destroyers or submarines, or, if "dual purpose," for protection from attack from the air. A fighting ship must also be able to "take it." 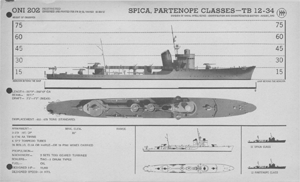 A ship may be designed to absorb punishment, to mitigate its effect, or to avoid it. 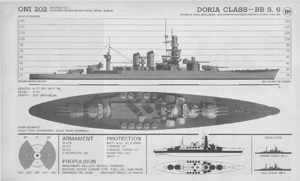 She may be provided with armor; heavy steel plate around vital parts to defeat shells, bombs, and torpedoes. 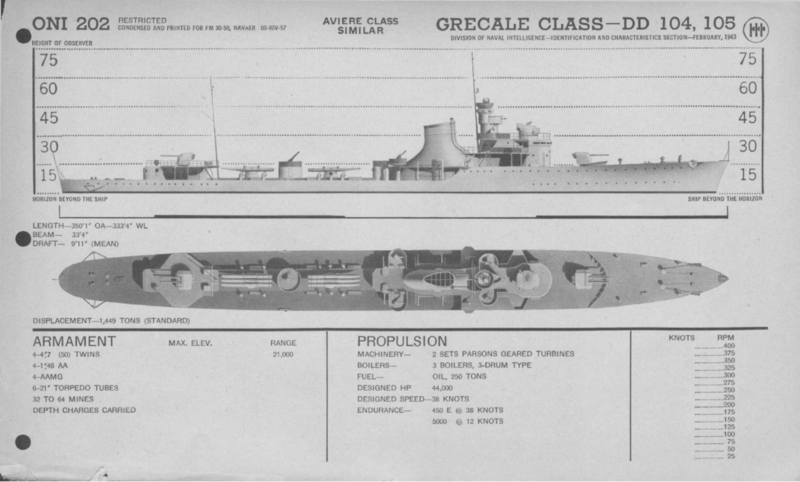 Her hull will be subdivided into separate spaces, or provided with bulges or blisters, to confine the effects of flooding and explosion. This is called compartmentation. Damage control systems consisting of provisions for counter flooding, fire fighting, etc., are developed in varying degree in all types. 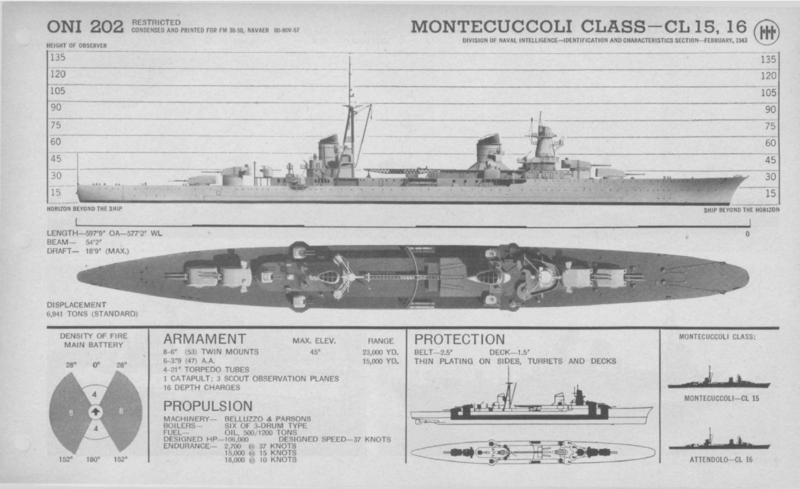 Speed and maneuverability in themselves constitute factors of protection in smaller types in which armament and protection have been sacrificed for these qualities, while submarines depend for protection largely on their ability to make themselves invisible by submerging. Most fighting ships are propelled by high-pressure steam boilers and geared turbine engines, although Diesel or reciprocating engines are sometimes used in smaller types. Diesels are used in submarines when operating on the surface, electric storage battery motors when submerged. 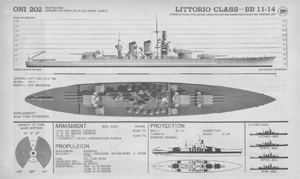 Since a large proportion of total displacement and space is allotted to armament and protection in the design of battleships, these ships do not attain the high speeds of many smaller combat units. 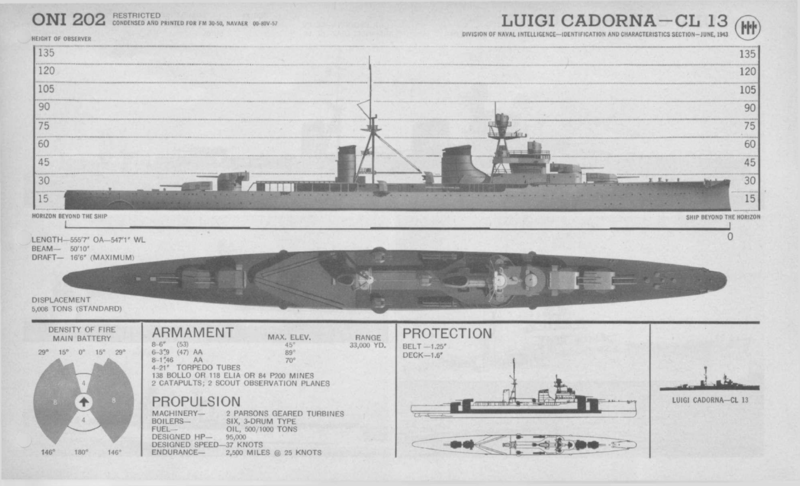 Carriers are designed to for speed, with corresponding sacrifice of armor. 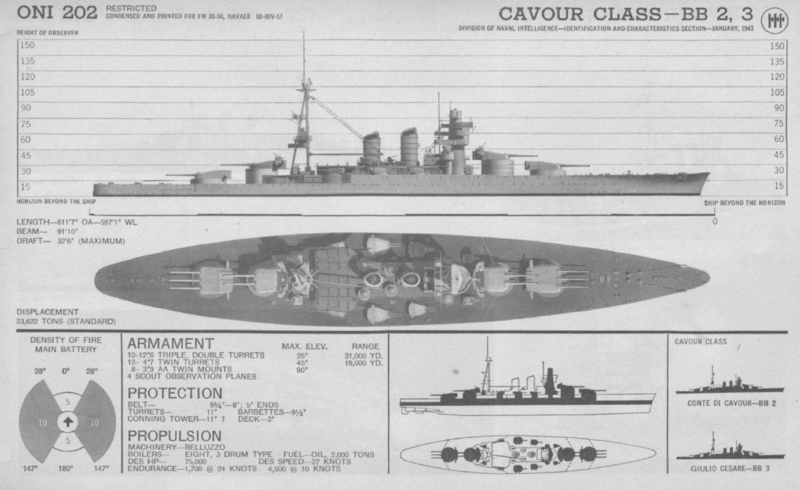 Cruisers' speed will range from 30 knots, which will permit a heavy cruiser to operate with the fleet and outrun most battleships, to speeds of over 40 knots in lighter types. 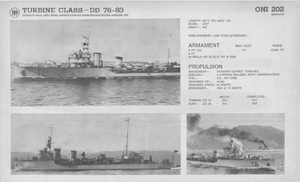 Speed is essential to a destroyer's functions and new types are capable of attaining or bettering that of any cruiser. Without the capacity to reach a scene of operations, execute a mission, and return to a base, even the fastest and most powerful fighting ship would be of little value. To bring an enemy to action is the battleship's primary function, and these ships must carry crews and provisions necessary to take them into battle with enough shells and fuel and food aboard to permit them to fight and return. Since cruisers an often required to perform independent missions at great distances, sea keeping capacity is a vital consideration in their design. Carriers must also be designed to accommodate provision for extended operations and fuel for their aircraft. 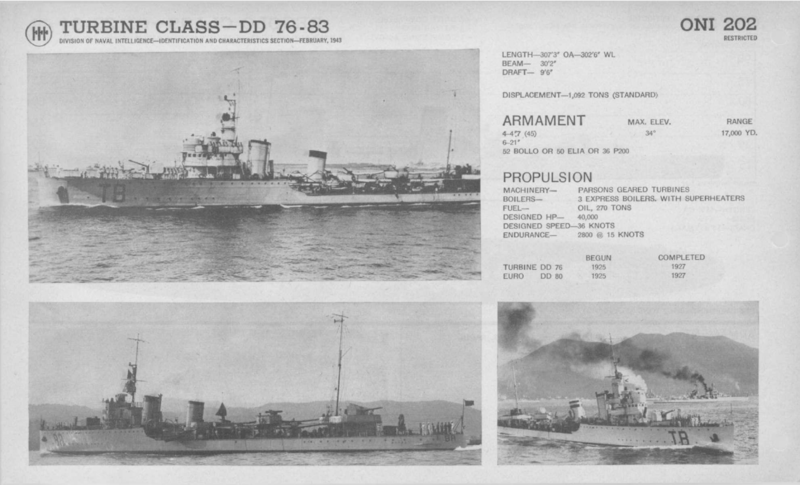 Destroyers, as they often operate with battle fleets or in convoy, must also carry provisions for such work, subject to limitations of size, while submarines are required to remain in enemy waters for extended periods. It will, therefore, be seen that sea keeping is a very important factor in the design of all more important types of fighting ships. 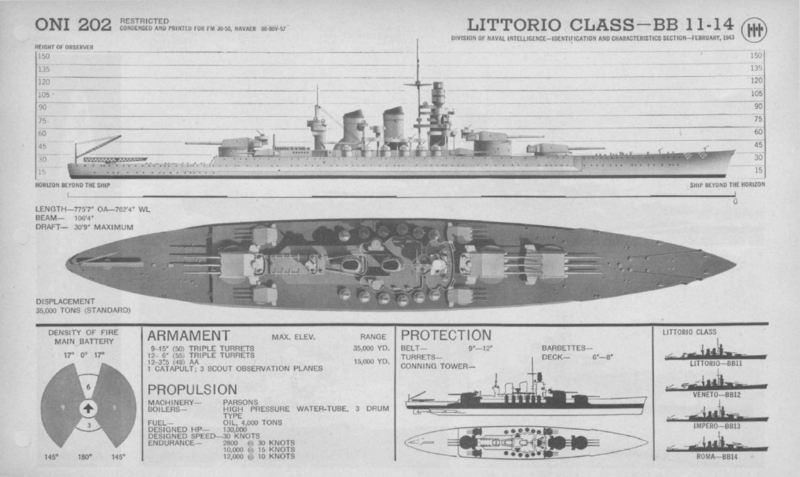 The bulky hull of the battleship (above) reflects capacity to accommodate provision for sea repair and for storage of immense quantities of fuel, water, food, ships stores, and lubricating oil, while the proportions of destroyer hulls indicate limitations in sea-keeping capacity inherent in their type. 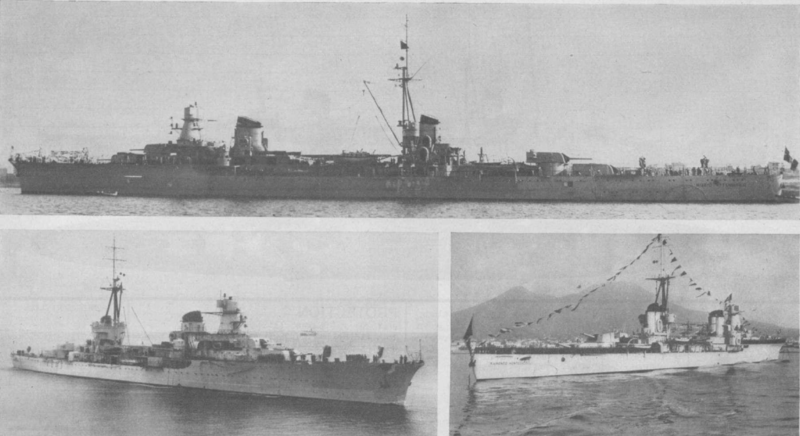 Upper and lower left: CAVOUR, 1939. 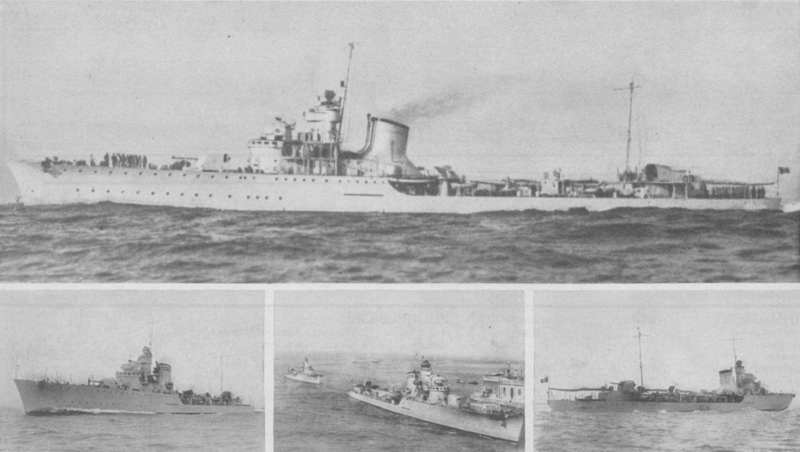 Upper right: CESARE, 1938. 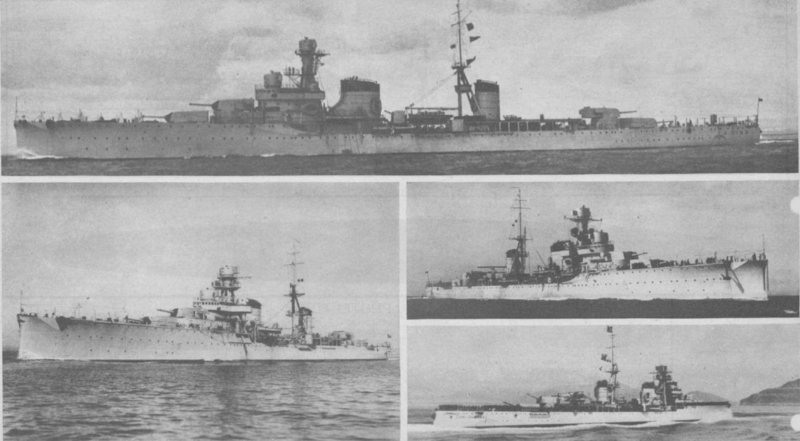 Middle right: CAVOUR, 1938. 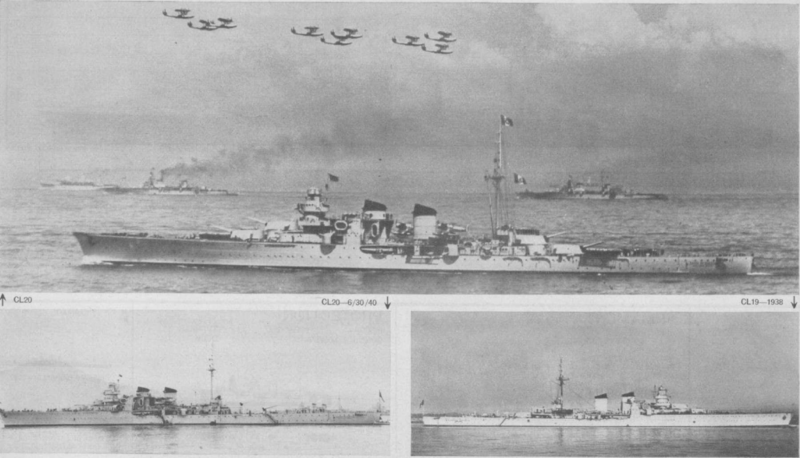 Lower right: CAVOUR, 1941. BOTH SHIPS HAVE BEEN ALTERED IN 1940. Upper left: DUILIO. Lower left: DORIA, 9/26/41. 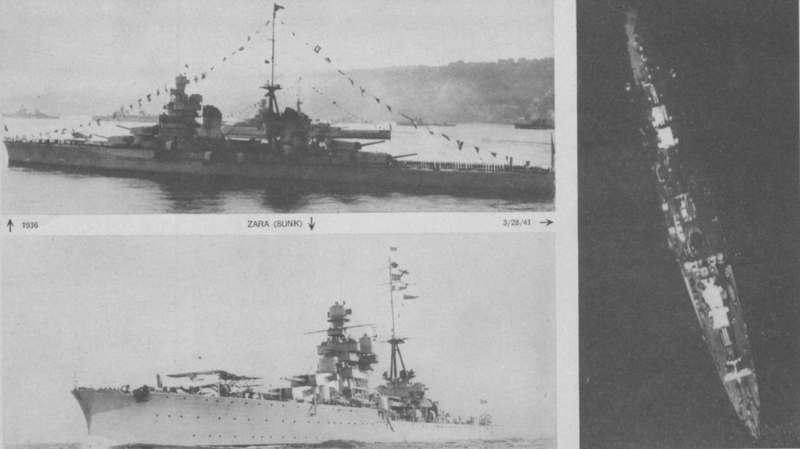 Right: DORIA, 1939. 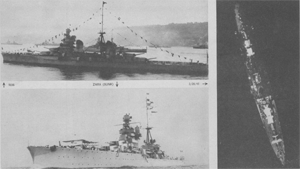 Upper left: 1936. Lower left: 1936. Upper: CL 20. Lower left: CL 20, 6/30/40. Lower right: CL 19, 1938. 4 or more units sunk. Upper left: UGOLINO VIVALDI DD 87. Lower left: ANTONIO DA NOLI - DD 91. 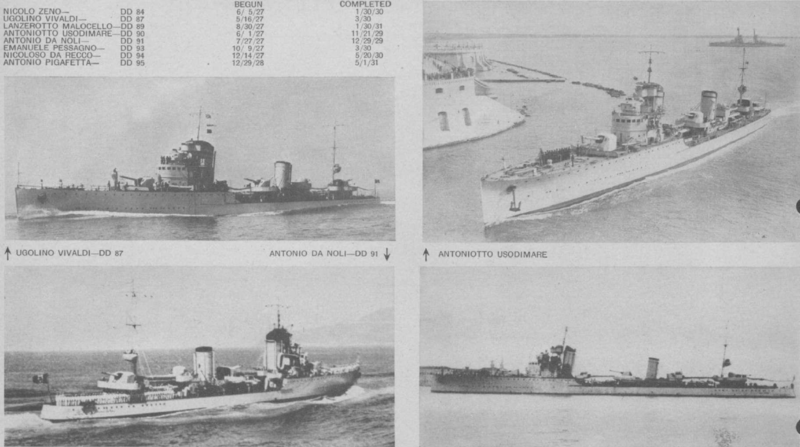 Upper right: ANTONIOTTO USODIMARE -DD 90. Upper left: LIBRA - TB 31. Lower left: CIRCE - TB 43. 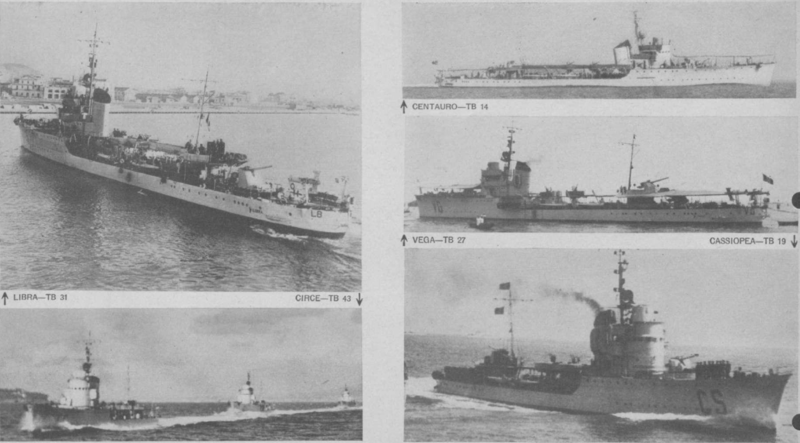 Upper right: CENTAURO - TB 14. Middle right: VEGA - TB 27. 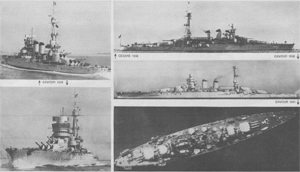 Lower right: CASSIOPEA - TB 19.